You’ll never need to flip to the cool side of the pillow again thanks to the Dunlopillo Coolmax Protector! The Dunlopillo Coolmax Pillow Protector is made with Coolmax® technology that enhances air flow while expelling your body heat so that you stay cool and comfortable all night long. The Dunlopillo cool comfort pillow cover is ideal for use on memory foam or latex pillows. It’s lightweight and exceptionally soft. It’s made with a secure fit so that it won’t bunch up or interfere with the shape or feel of your pillow or bedding in any way so that you’ll love resting your head on night after night. It’s also machine washable and fast-drying for your convenience. And as with all Dunlopillo products, you can rest assured that you’re getting a durable, high quality product. Enjoy the refreshing way Dunlopillo Coolmax Pillow Protector keeps you cool and comfortable on hot summer nights and the cosy insulating layer it provides when you snuggle up with your pillow on chilly winter nights. What’s Coolmax® technology? It’s a special, breathable nylon-polyester blend fabric similar to that used in workout clothing to help keep the body cool and wick away moisture allowing it to better evaporate which producing a cooling effect. As a pillow protector, the fabric not only protects your pillow, keeping it clean and preserving it, but also enhances your sleep. The natural cover enhances air flow and expels excess body heat. Fully fitted to protect your pillow, light weight, soft and breathable with a natural feel. Cover enhances air flow and expels excess body heat. 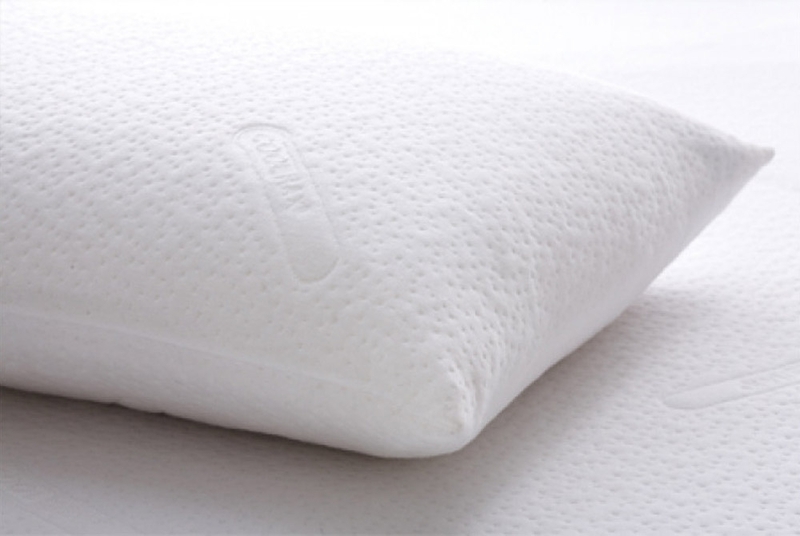 Fully fitted to protect your pillow, light weight, soft and breathable with a natural feel. Fits standard size pillow case of 48cm x 73cm. Can't say this cover is cooling at all, but it has made my Contour Latex Pillow much more comfortable. I guess that is what Cool Comfort must mean.